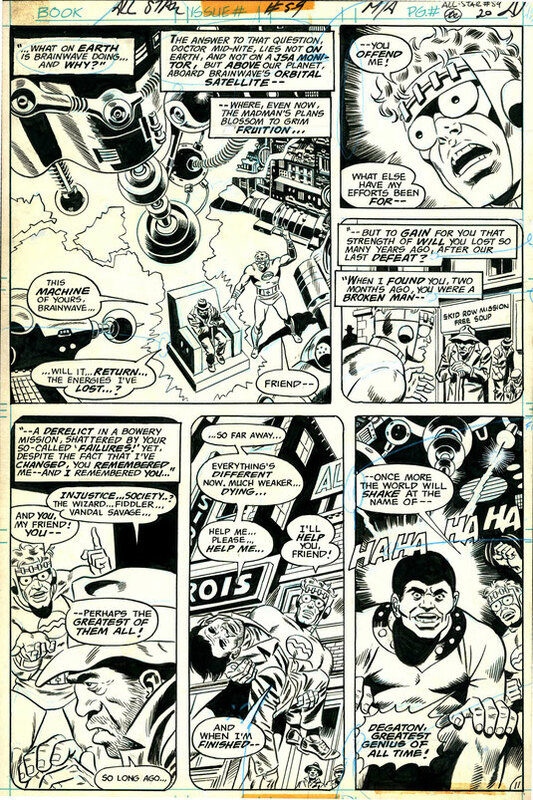 Legendary comic artist Wally Wood hired Al Sirois as his art assistant, including Al's first and last name in various background signage seen here in Panel 5 of Page 20 from issue #59 of DC Comics' All Star. 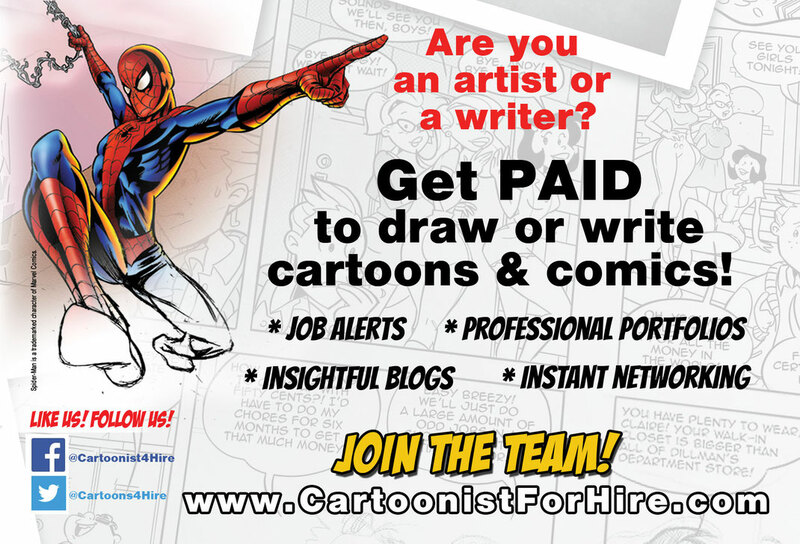 Looking over the various artists anyone can hire at www.CartoonistForHire.com you'll find an unassuming superstar whose comic book jobs include work with such industry notables as Marvel, DC Comics, and even the legendary comic artist Wally Wood, whose iconic art established the early EC Comics series Tales from the Crypt, among many others. Late in life, unfortunately, Wood was largely overlooked by the very industry he helped define and he struggled to stay employed as a freelance artist until his unexpected death at the age of 55. Today, Wood's work is recognized as one of the most significant influences in the history of comics with individual pages fetching thousands of dollars among original comic art collectors. But how cartoonist for hire Al Sirois ever connected with the comic legend in the first place, and ended up working alongside him, is as twisted as a plot from one of Wood's own Twisted Tales comics, with just as impactful surprise ending. "In 1975, I was living in New Haven, Connecticut," Al explains. "I was more or less determined to be a writer, but as it happened, I had always loved to draw and I was fairly good at it. Despite this I had little professional experience and was making a living working in a bookstore." "As a member of a local science fiction/fantasy fan club, we would meet every couple weeks at the home of one of the members," describes Al. "I had heard that Woody was living in West Haven, but I had never met him and didn’t know anyone who had. One evening I attended a meeting at the home of Martin Schaffer, a relatively new member. A smallish older man was sitting in one corner. I introduced myself and said, 'You must be Mr. Schaffer.' He said, 'No, I’m Wally Wood.'" Al was stunned, "I stammered out something about how pleased I was to meet him, and backed off. (I am not the fan-boy type.) A few days later he walked into the bookstore where I was working and offered me a job as his assistant. I later found out he was dating one of the women in the sci-fi/fantasy club, and must have seen my artwork through her. I had learned how to draw in part by copying his stuff out of old MAD paperbacks, so going to work for him was a huge honor. And the pressure was on for me to “up” my art game ASAP. Working for Woody was the making of me as an artist." Listed as an assistant in Wood's Wikipedia entry among other comic notables including Howard Chaykin and Mike Zeck, Al Sirois assisted Wood on the first volume of THE WIZARD KING, along with issues of STALKER, HERCULES, PLOP!, ALL-STAR, KUNG FU FIGHTER, and many other comics, all for DC, including SANDMAN, which was Al's very fist book as Wood's assistant. "Woody often gave advice, but sometimes in a negative way. I would ask him if I should do this or that, and he would quietly say, 'I wouldn’t,'” Al recalls. "He corrected stuff I did, but as I improved he didn’t need to do so much of that. I never wrote a complete script for him but I would contribute gags, lines of dialog, or bits of business. Woody loved science fiction, and we often talked about that as we worked. He was a big fan of Jack Vance and also liked A.E. van Vogt." Describing ways in which Wood enjoyed incorporating the people he knew into his work, Al says, "Once he drew portraits of himself and me into an ALL STAR panel. My name is in on a storefront in another ALL STAR issue. In one of the KUNG FU FIGHTER books there’s a scene in a junkyard and one of the pieces of junk is a bass drum emblazoned with the name of the band I was in at the time." "After I stopped working for him my drawing style remained heavily influenced by him for many years. It still is, to some extent," Al shares. "Also, as great an artist as Woody was, he was not in my opinion a terribly good businessman. I learned some things NOT to do, you might say." "Plus, he did not take good care of himself in terms of health. That had an effect on me, as well," Al concludes. "I suppose I worked for him for three or four years. His health went slowly downhill. He married Muriel Van Sweringen; and, because I was married to her daughter Linda at the time, he was therefore my step-father-in-law. But he could not escape his demons, and they drove him and Muriel apart. He moved to upstate New York. I only saw him once after that, and he was obviously quite ill. By then I had gotten out of comics because I felt I needed a steady gig with benefits, to help support my family with Linda. Not long afterwards he took his own life. It was a tragedy. I loved the guy and I still miss him." 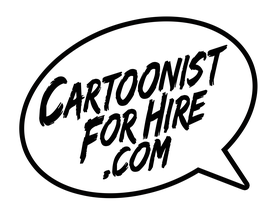 Today, Al continues to work as a freelance artist and his work can be seen at www.CartoonistForHire.com, where anyone can hire a freelance artist directly, including Wood's assistant Al, to draw your custom art job.